Wait. You are not alone. I used to be an IELTS candidate like you back in 2003, and I knew nothing about writing task-2. In fact it was just a week before the exam, I learnt about the IELTS writing section. Now I know tons of information about them, and it was through teaching. 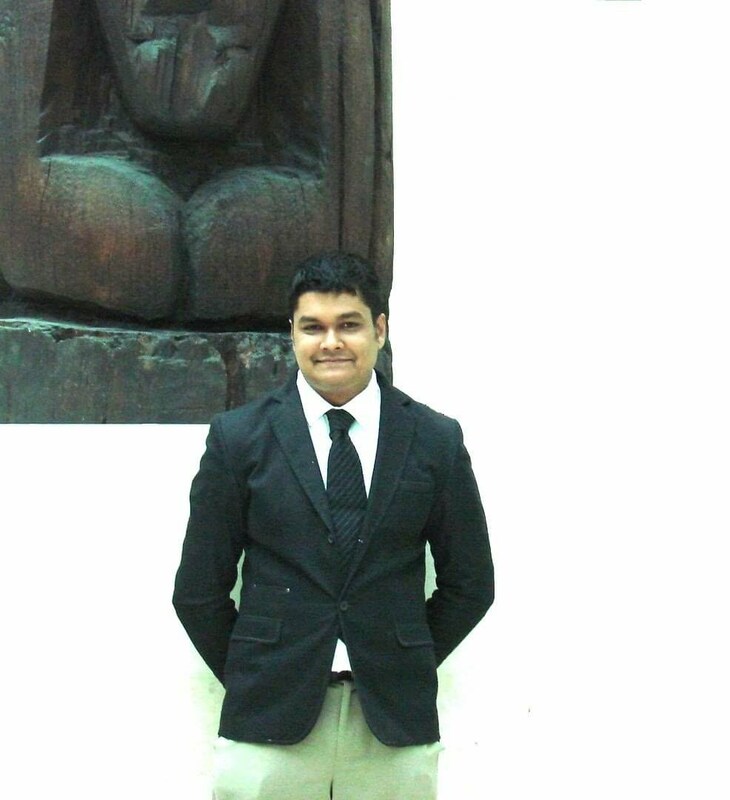 It is through the act of IELTS teaching and in-depth research that I was able to dredge up secrets and technique I never knew before that in turn allows my knowledge of this subject to fully blossom. Well, I am not claiming to be some sort of expert in this field, but I certainly know the basics to keep you going in order to achieve a good band score. And you`re going to learn everything right here. I promise it’ll be simple, joyous, conversational, and definitely painless to understand (no gibberish). In any case, I hope this tutorial brings you the smile of success on your face! Why IELTS Writing Task 2 is important? I really don’t want to talk about anything that has no value in your IELTS test. In a 60 minute writing test, you`ll be spend staggering 40 minutes on it. Two third of your writing score depends on how well you perform here. This is where you`ll be on your own. It`s not visual prompt like task-1 where you`d have plenty of clues and data to write about the task. By the way, after a long research and trying many methods with my students for the last 10 years, I finally got simple IELTS Writing preparation method that really works to get over band 7. I demonstrate these methods in a step by step guide to make your preparation as easy as possible. I bet you all know these facts, but it’s nice to be reminded. It’s nowhere near as difficult to teach yourself about IELTS Writing Task-2. It`s not a rocket science. In fact, very little you need to do to achieve a good band score anything up to 6.5. Good news, huh? You see: We live in a jam-packed information-world. Lots of the advice out there… and you`re confused. The information surge that appears in web, books, lectures- give you no time whatsoever to absorb one until there’s another. That`s why I am providing you a 16 minutes comprehensive tutorial about writing task-2. So, here in this tutorial, I include what you need to know minimally for not getting lost in your IELTS writing test. But, unless you are not bored with reading text, here in this step by step tutorial, I include what you need to know minimally for not getting lost in your IELTS writing test. In particular, there’s 7 things you need to know in order to train yourself about IELTS essay writing. As you follow everything exactly, you’ll be able to write any IELTS essay in 30 minutes or less. That`s all you need…Top Gun..to write better than ever. So, without further delay, let’s jump into lesson 1. I guess it`s not insane to tell you that academic IELTS task: 2 is a question to write a 250 words essay in pencil & paper. #1. Whether the person knows something about the topic? #2. How to discuss about that topic in pencil and paper? Let`s suppose you are that person. In that case, the topic of the question is pretty much the first thing you need to relate with your experience and wisdom. Even if you can relate your knowledge with the topic, you may sweat yourself profoundly to write anything about it. Don’t worry. I`ll explain everything about the writing process. Am I familiar with the topic? Look. Back in school, you may write essays about topics like “your memorable day in your life”, “your aim in life”, “a journey by train” etc. IELTS writing Task-2 questions are focused on rather debatable issues. The topics generally cover developmental, environmental, public well-being, socio-cultural and technological related problems. If there was no problem, there would be no reason for writing an essay, and definitely no reason for question makers to present it in your exam. So below, I’m going to outline some topics based problems and questions. Local development through tourism can negatively affect the social environment. What are the reasons? Provide solutions to change negative attitudes? Fast food can affect public health although it`s so popular. In today's busy world, consumption of fast-food has increased dramatically. But frequently eating out can have serious long-term health effects. To what extent the advantages outweigh its disadvantages? Who` must pay for climate change? Some people argue that individuals can do nothing to prevent the climate change. Therefore, only governments and large companies can make a difference. Consumption culture is depleting the moral fabric of the society. consumerism have a negative impact on the society overall. Others, however, think that modern consumerism isn’t inherently bad. Do social media distort people from partial worldviews? Many people believe that social media (such as Facebook) reinforce individuals and society to have narrow biases. Now listen: I don`t want you to get panicked about aforementioned IELTS essay topics. I`ll give you plenty of education how to answer each topic related tasks. My idea is to get you thinking about what kind of “subject matter” you can expect in your IELTS writing test. Remember three points: (1) Spot the topic; (2) Spot the task type; and (3) Write according to the topic and the task type. So next, we`ll discuss how to identify the question type at a glance. At the end, questions are questions. A question would ask you a question by putting the question sign (?) at the end of it. Well, that`s the universal perception about questions. But, in the IELTS writing task-2 you may never see the question mark (? )anywhere in the prompt. Note: If you already have a solid idea about task-2 question types, then skip this and go to the next lesson. You don`t see any question marks (?) in the above prompt. Do you? This example is a discussion type IELTS essay question. But, there are other types (where you could see question marks). (1) Agree/Disagree: Here you see an opinion about an issue and the task asks you to write a argumentative response by supporting or rejecting that proposition. Children all over the world should learn to speak a single, universal language fluently in addition to their native language. (2) Discussion Type: On this question you see two different opinions about the same issue and a question asking you to discuss both points of view and to give your own opinion about this topic. "Some people believe that the activities of large multinational corporations most benefit the economies of developing countries. Other people take the opposite view and feel that these large multinationals are generally harmful". (3) Advantages / Disadvantages Type: Here you see a specific viewpoint and you have to evaluate advantages and disadvantages based on that perception. "Some people think that our lives are more comfortable now because of new communication technology such as cellular phones and emails. Others say it only gave us a hurry sickness, where wealways felt to be rushed and thus faster communications hardly improved our lives". (4) Causes or Effects and Solutions: On the question paper, you see a statement about a contemporary problem and then two questions. One question asks you to identify the causes or effects of the problem and the other question asks you to propose solutions to the problem. "One problem faced by almost every large city is traffic congestion". (5) Theme oriented Questions: The task presents an idea about a topic and you would be required to answer one or more questions that relate to the theme. "Happiness is considered very important in life." So, those are the few many types of IELTS task-2 questions. Well, at the start, these categories look confusing, but it gets very understandable quickly as you go through your preparation. Don’t worry! Did you read this lesson title- How to Write…..in 3 Steps? Just 3 steps- you can FINISH writing!! It`s going take you 30 minutes from start to finish. “You should spend about 40 minutes on this task”. IF you finish in 30 minutes, what you do in the rest 10 minutes? Well, get up and visit the exam room to see the nervous faces- making war with a pitiable piece of paper and pencil! I mean: A war to finish the essay. Just kidding..but it`s true. It`s true that even 40 minutes is a short time to complete the essay if you don`t know how to write it. Now, I`ll admit you are not ready to gulp down that fact that an essay can be written in 30 minutes. 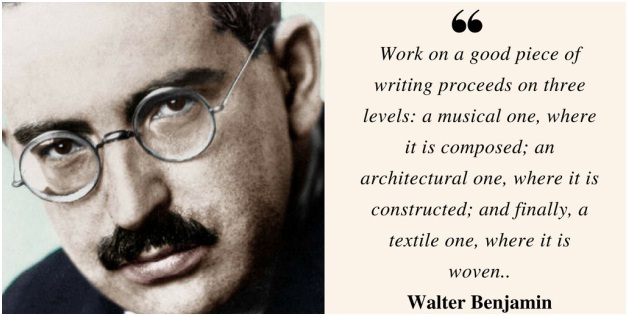 Do you know what the hardest part of the writing process is? Let's face it: Who else like to sit in an exam room and struggle with a blank piece of paper when he could chat with friends outside? And when you first see your IELTS writing question, you feel a 60 minutes pressure to start writing without waiting for a second. But, don’t start writing, slow down there! Take a breather to explore the ideas and topic of the task. Aka spend 2 minutes to absorb the question carefully and understand what it is asking. Behold to find out key areas of the task that cannot be overlooked in the response. The task is asking you to write on whether it`s better to share information or not… to what extend..and specially in scientific, business and academic field. Just keep in mind that you need to cover all these key areas in your answer. Sweetly, these are the keys to generate or think topic related ideas. At this stage, don`t wait for ideas to spark in your mind. Just ask yourself 3 basic questions (below) and wait for the magic to happen. Tons of ideas will sprout in your mind if you do so. And as they appear in your mind, quickly write them down in the question booklet (not in the answer sheet). First Question: What situations would disprove the first/second claim? Think about some sensitive areas where the claims fail. Claim: Sharing as much as information is good in the field of scientific research. Failing situation: Sharing scientific information about nuclear weapons design can be insane. Second Question: What is unjust about the claim? Simply think about some areas where the claim contradicts itself. Claim: It is good to share as much information as possible in business. Unjust: Businesses could not outperform rivals by sharing too much insider information. Third Question: What could strengthen the claim? It is good to share as much information as possible in scientific research, business and the academic world, unless they do not cause any risk to anybody. Now, by now, I can almost guarantee that some solid ideas are emerging in your dizzy mind. I bet, at this stage, you are going to somewhere from nowhere. These 3 magic questions will certainly power you up to think about a number of answering ideas. Alright, now, after all this you should be ready to start the writing process. So, let`s write down the introduction. 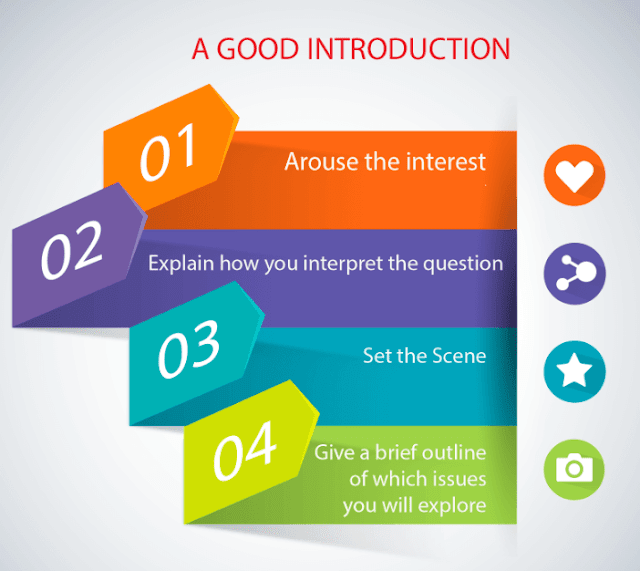 An IELTS essay begins with an introduction to quickly "introduce" the reader to the topic and to state your main arguments. In other words, here you tell the reader what the essay is about. You should avoid long, extended introductions and thus make it short and get right to the point. You should spend more time in writing body paragraphs. Our lives have been revolutionized by the way we share scientific research, business and the academic information with others around the world so generously. Some would argue that it would be better to share any information without any restrictions, while others argue that some information is too precious to be shared freely. Although both the arguments have its own justifications, I believe that a controlled approach of information sharing is beneficial throughout all arenas. Spoiler Alert: It`s bad to write “I will discuss both of these views and give my opinion at the end” because you`re simply copying the task instruction. Once you are done with writing up your introduction, it’s time to go for body paragraphs. Body paragraphs are the MEAT of your essay. Remember, well written body paragraphs will help bring you high band score. In other words, if you want to score well, you`ve got to write good body paragraphs. And it is tough to write-this is where the sweating starts. One of the reasons why students struggle here is because any writing itself is hard. There’s no short-cut way that you can make writing a fun and enjoy the process. You`ve to read a lot, write a lot to get around this fatigue. This heavy lifting is imperative. After all, you`ll not write in your personal diary, you`ll write for the IELTS test. I know this sounds like a lot of work for one language test to meet. And I am telling you to do it all in 30 minutes? Impossible. I’ve created a simple outline that satisfies every point of expectation of an IELTS examiner. I challenge you to take it, use it, and see your paragraph writing skills improve by leaps. Start the paragraph with a single idea. Don’t think too much in this stage. Thinking too much slows you down and distracts you from your purpose and points of the essay development. Look at the question again and find what it asks for. Did you get a look? The task asks you to discuss this view: Some people believe that it is good to share as much information as possible in scientific research, business and the academic world. Now, I want to think of a very simple sentence that resonates with this view. The notion of sharing knowledge regardless any field is indeed a good practice. You see, students always THINK they don’t have enough ideas to write about. Aha. That dreaded feeling when you sit down, but… you got nothing. You just don’t know what to write about. Well, the real problem is not that you don’t have enough ideas. It’s that you don’t COLLECT your ideas from the task itself. You see: generating a topic idea is very easy- when you read the question again and again. It fits with the task arguments. It states a single main point or position. It is something you can show, explain, or prove. Sounds simple but don’t overlook these facts. As a matter of fact, I`ve seen many low scoring candidates are making big mistakes here. There are few things in the world of academia that people hate most about any writing. The major one is LACK OF PERSUATION. You can`t just state your claim or topic without providing reasons and evidence. As because, it points towards your task achievement- the examiner will look for if you develop main ideas with specific support, including specific details and examples. So, the facts or evidence are must to prove the main ideas of your body paragraphs. Now, the question is: Can you relate any examples, facts, or evidence that back up your main point. To remind you the main point is: The notion of sharing knowledge regardless any field is indeed a good practice. For instance, it is sharing of ideas and doctrines that help mankind to evolve and sustain so far. That`s it. Here we are saying the history of human would not come to this far without sharing information. How about when human share the basics of the creation and control of FIRE? This was the first invention of mankind that allowed their geographic dispersal, cultural innovations, and changes to diet and behavior. Doesn’t it? But, giving only the example is not enough to make your claim convincing. Do you think simply an example can 100% explain your claim aka the topic of your Paragraph? When you state any example, you know everything about it. You know why you put this forward- it`s in your mind. The only problem is that the reader has no idea what it supposes to mean. In that case, you need to explain this in additional sentences. In other words, discuss the evidence. You can see in above picture what we`ve written so far. Now, I want to make this example more convincing.. persuading for getting a better score. In either way, an example sounds more academic with some added discussions. After you’ve completed these 3 steps (topic plus example plus validation), you’ve one more thing to do. You show the connection between example/validation with the topic. Look...there is no point to bring an example with explanation until you show how it connects with your topic. So, you can repeat the point by stating the outcome of your discussion. Four sentences on 4 points: Topic + Example + Validation + Outcome; every serious candidate will follow this strategy- – which in turn improves band score. 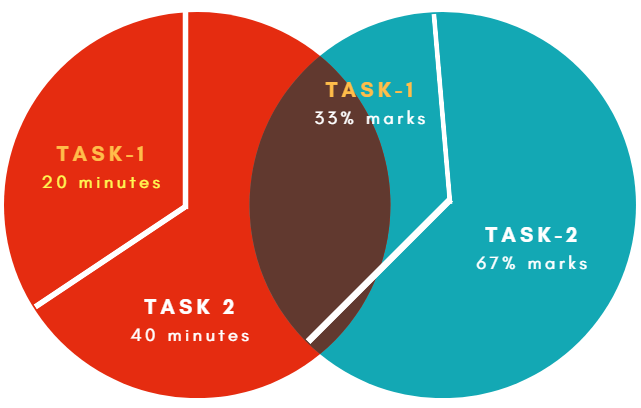 Now, rinse and repeat the same technique to write the second body paragraph by focusing on the second view of the task. However, certain information outburst can lead to negative ramification on scientific to business sphere. For example, critical information leakage from a big company and a sensitive nuclear or bio-chemical research project can be sometimes lethal. With that said, corporate like Apple maintains their market share over the years by protecting technological secrets that give them an edge over competitors. Thus it can be inferred that all documents aren`t meant to be made public for the greater benefits. I wonder, are you still there? Congrats, you`ve just finished the heavy lifting. You`ve discussed both views of the task. Now, It`s the time to go for next job - give your own opinion. Remember, you do not need to explain your opinion. Write it in the light of your arguments from both sides. So, do not write a separate paragraph to give the opinion. Creep this into the last paragraph of your essay. And the last paragraph is conclusion. You`ve write some wonderful body paragraph with complicated thoughts. At this stage, you can`t but wait to write a quick conclusion that`ll eventually set you free from this energy sucking IELTS test. So, let`s mush on and make it short. In conclusion, the discussion of releasing or withholding all information is still under the scanner. However, probability to disperse certain types of information cannot be ruled out. I thus favor in between-not all but a large portion can be left in the light for all. Nevertheless this difference in attitude can leads to profound advancement of our civilization. Do you catch the drift? Spontaneous. Isn`t it? I just present you how to write discussion type essays. If you recap, you`ll remember that there are other types- agree/disagree, advantages / disadvantages etc. Each type has different essay writing structures (standard). So, I can`t but give you the next lesson. Now, we’re at one of the most important sections in this entire article: IELTS essay writing structure. You can call it strategy, formula or plan whatsoever. All are same. Many candidates today take an ad hoc approach to writing essay. Sure, they all cover the basics- introduction, body and wrap it up with a conclusion…and…. I don’t recommend this. You`ve to constantly shifting this structure as the task demands. Of course, this is the mind-map of a discussion type essay. It gives you an idea of what should you can write in different paragraphs. The purpose of this structure is to help you to keep a high standard when it comes to IELTS Task -2 essay writing. Once you become comfortable with this plan, it`ll have an instant reflex about writing anything. An essay plan, on the other hand, works as a catalyst to your creativity. Your ideas flourish in every corner of this skeletal map. Now, I am giving you a strict set of structure for writing other types of IELTS task-2 essays. This structure is completely different from previous one. That’s what I told you so. I told you to change the essay structure according to question types. But, I am not accusing anyone who don`t understand the above IELTS writing task 2 structure for agree/disagree essays. And that`s what I am going to explain this next (with a sample answer). Keep in mind that you need to follow a distinct essay structure for each of these types. If you need a little help I would highly recommend you check out my article How to Structure Your IELTS Writing Task 2 Essay in which I run through the steps you need to take in more details. It’s really not as hard as you might think! OK- In the last lesson, we`ve discussed about the structure of agree/disagree type essays. Let`s put this structure in action. Convicts around the world are usually locked for longer to retard further crime, but some favor education as a means to produce better outcome. Fear of prison can change the mindset of criminal to offend; while imparting education can also change their criminal behavior. In this essay, I will discuss whether I agree that education is more effectual than imprisonment. Firstly, it is certainly the case that incontrovertible sentences discourage offences. For example, no one expect to experience the harsh realities behind the bar by committing any punishable crime. In that case, loss of freedom, social isolation and separation from loved ones act as a mental deterrent. Despite the fact that modern prisons can be safe and comfortable places to live rather than dreaded dungeons, the fear of isolation can significantly restraint community violence. However, education can also help to weaken the urge to commit crime. For instance, educational attainment can negatively correlates with many types of crime. The more people get educated, the more they become morally afflicted against doing any harm to anybody. But, the argument whether education reduces crime is rather theoretical rather than empirical and thus can merely establish a bold stand. In conclusion, I do not agree that education can be a more efficient means over detention to minimize crime in the society. Perhaps education can have some passive influence to prevent felony recurrence; it would be judicious to lock up delinquents to maintain law and order in the long run. OK. I don`t mind if some questions (?) bubble in your mind while you read the above sample. Don’t worry. I am here to make your life simple. I begin the essay by simply restating the task in my own words. Next, I say what`s the problem with this argument. In fact, any of those assertions (prison or education) can be a strong candidate to prevent crime; so it`s a problem and thus a debatable topic. The last sentence is the “thesis”- where I say what I am going to discuss in this essay. I didn’t take any side here, I`ll do it in the conclusion-after I demystify both arguments. I start the body by focusing on the first view of the task, which is the practice of imprisonment to effectively reduce crime. Second I say why prison can be an effective solution by an example that a delinquent person would think about the miserable life inside the bar before committing any felony. I further explain why prison life can be dreadful as living in a isolated land. Next, I give a conflicting viewpoint and at the same time negate it. This was important to make the claim stronger. I need to put this extra effort, because I decide to agree with this claim later on in the conclusion. Here I focus on the second view presented in the task- the rule of education in reducing crime. In example, I say that education can have some relation with avoiding crime. I give further reasoning why education can contribute to virtuousness. In the last sentence, I totally reject this claim by pointing the weakness. I reject the claim because I am going agree with punishing by imprisonment. With that said, I tell what should be practiced in the long run. Well, we`ve done it the second time. However, please note that this just one example out of many possible approaches. But with this foundation in place you’re now ready to write any agree/disagree essay. I urge you to think simple and write simple. Don`t complicate your thoughts. Let`s the idea flow in your mind and break these down nice and easy in your text. By the way, why you`re taking the IELTS test? I can guess, there are some times when you might want to take the test to admit in universities of English speaking countries. 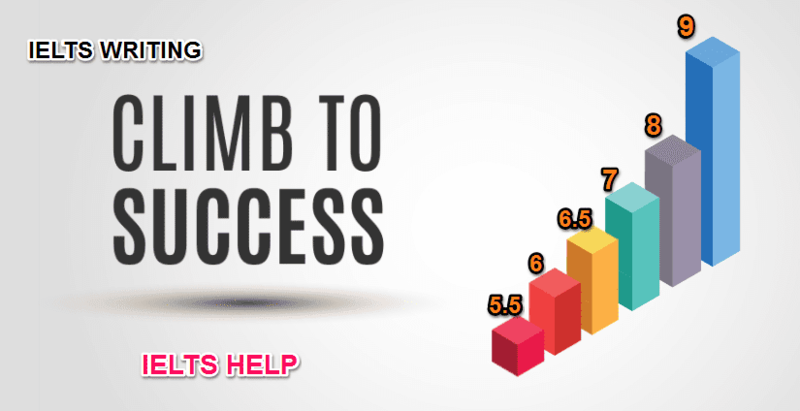 In this case, a band score between 5.5 to 6.5 would be your expectation as per the requirements of your courses and universities. However, you may also sit for the IELTS test to get a handsome score -anything between 7 to 8 in order to apply for immigration or professional registration. In any case, you would wonder what makes the band score? In other words, you want to know about specific features of an answer that an IELTS examiner scrutinizes to decide your score. Well, naturally the more precise you can be, the more band score you’ll command in your IELTS writing test. But, what do I mean by “precise”? I am telling you the answer in our next lesson. So far, we discuss about the process of writing IELTS essays. The key with writing essay is to come up with some ideas and deliver them with a structure. I told you earlier that there is no single approach of better writing. There are thousands of IELTS candidates all over the world-each has own/distinct style of writing. In this plethora of writing varieties, how can an examiner decide which is poor or average or a very good answer? Task Response: Did you answer all part of the question? Grammatical Range and Accuracy : Did you use a range of sentence from long to short by using a number of grammatical structures with accuracy? Lexical Resources: Did you use a range of topic specific common and uncommon vocabulary to convey your thoughts more accurately? Coherence and Cohesion: Did you write haphazardly or your ideas fits together to make an overall sense? Is it easy to follow your text from sentence to sentence or paragraph to paragraph? That`s four trips and tricks for you to hype your band score. So, focus upon writing essay that actually answer the task with good grammar, vocabulary and organization. Remember when I suggest you in Lesson-1 to spot the topic of the task? I told you so because it`ll help you to come up with topic specific expressions/terminologies- that`ll make your writing job as easy as a child play. IELTS Writing Task-2: Anatomy of an Excellent Essay. Maybe you’ve been working hard to improve your IELTS writing band score…may be you haven’t been and just wondering to give the test. In any case, don`t be afraid to believe in yourself. See: the world is full of negative distraction, all of them force you to go out of focus. Your job is to avoid them in silence and never stop believing in yourself. I hope that this article help you on your journey to achieve an excellent IELTS writing band score. Yes, you can achieve whatever band score you want to achieve and travel the world to live life to its fullest. I’m constantly publishing new tutorials on this topic of improving IELTS writing task -2 in this blog. Please, share your journey about IELTS preparation with me and connect me on your Facebook. I want it for you to prosper. Fascinating tips to achieve higher bands, and this helped me a lot.